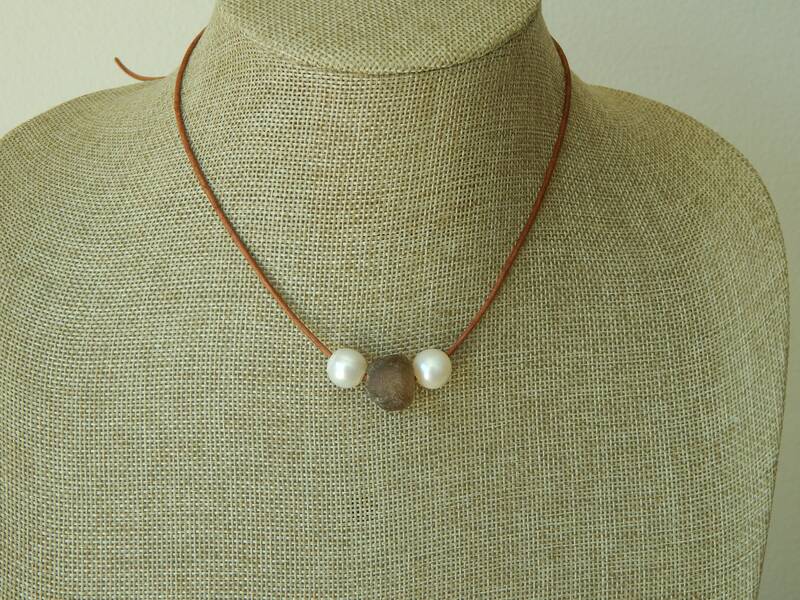 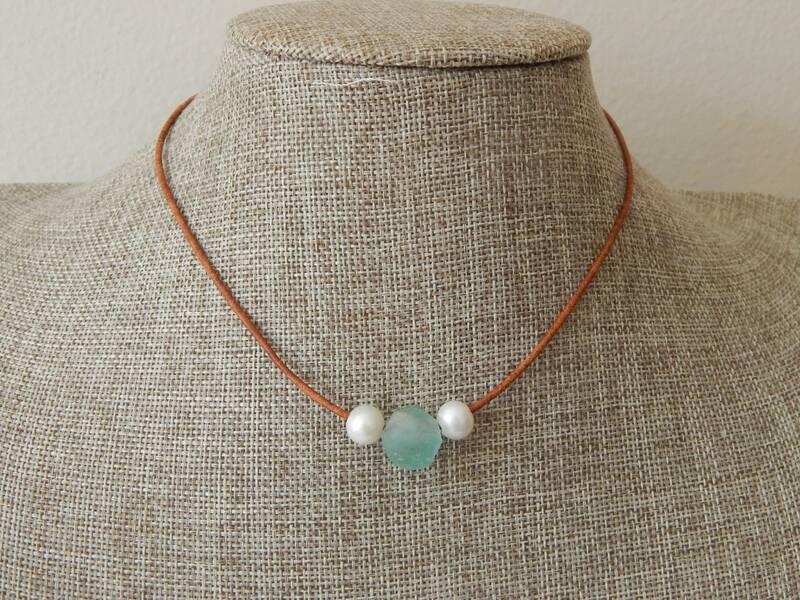 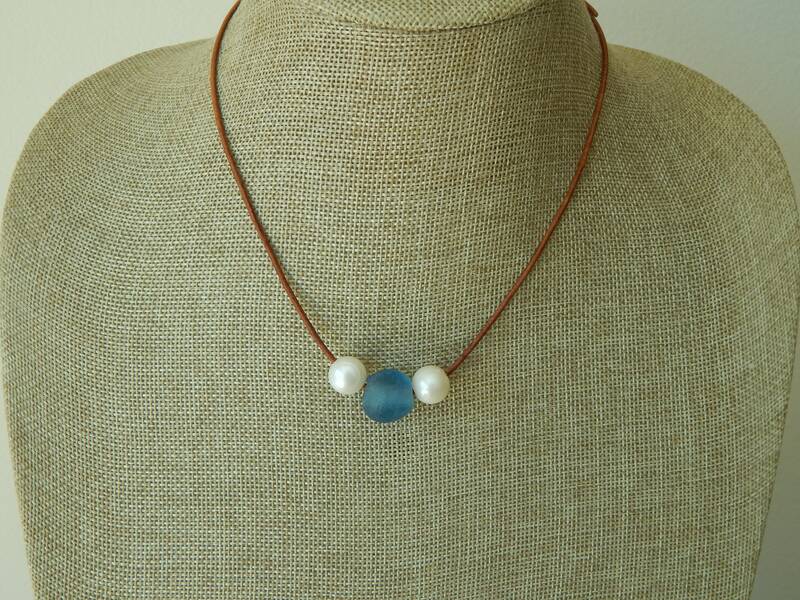 Hand knotted greek leather cord holds 2 freshwater pearls and an aqua blue recycled glass bead lending this choker its beachy boho vibe. 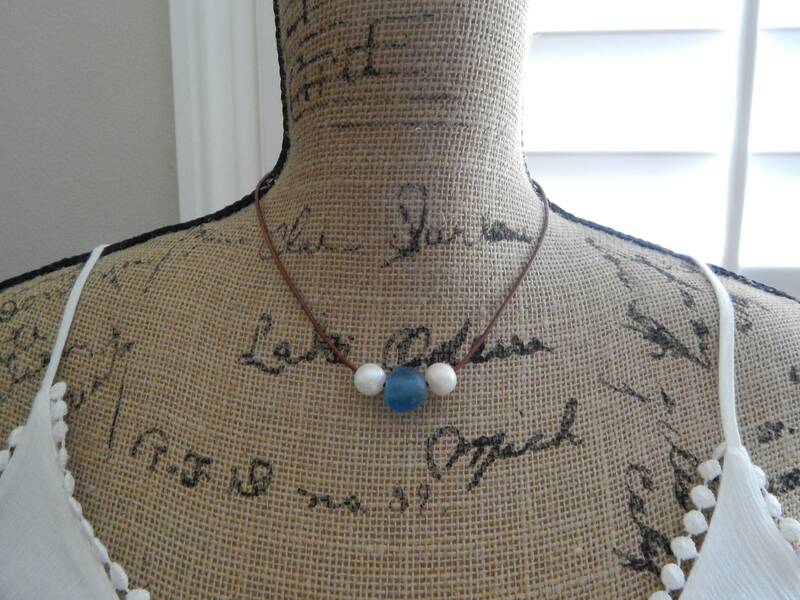 Light weight and comfortable to wear this can be layered or worn alone but will definitely be your everyday go to piece this summer. 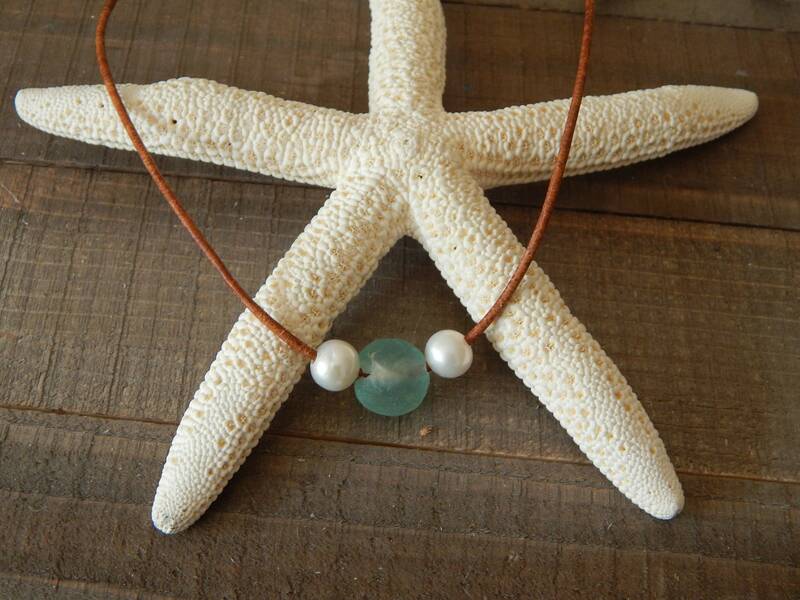 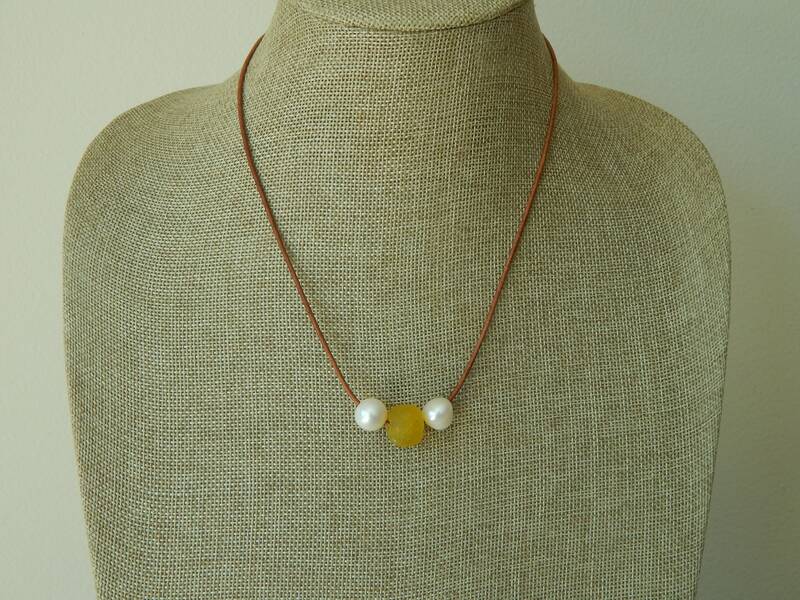 Pearls measure 10mm and recycled seaglass is 14mm. 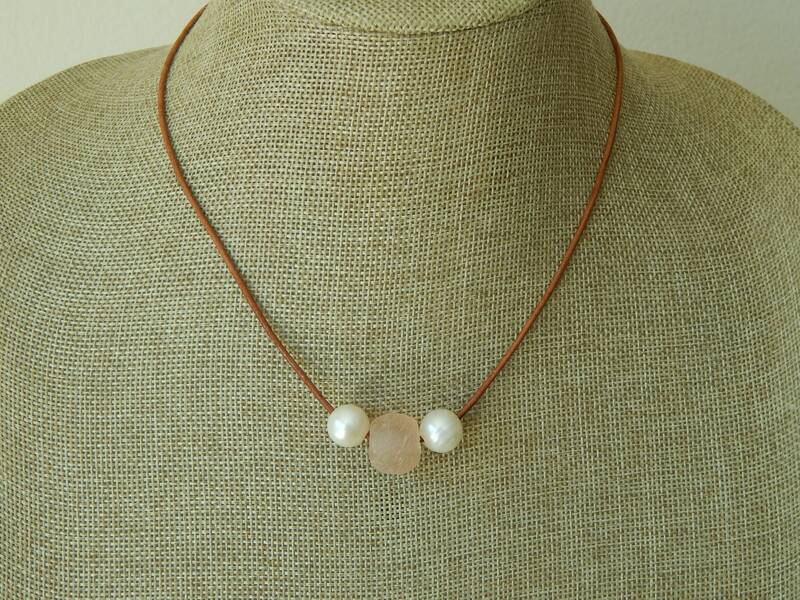 Pearl and loop closure. 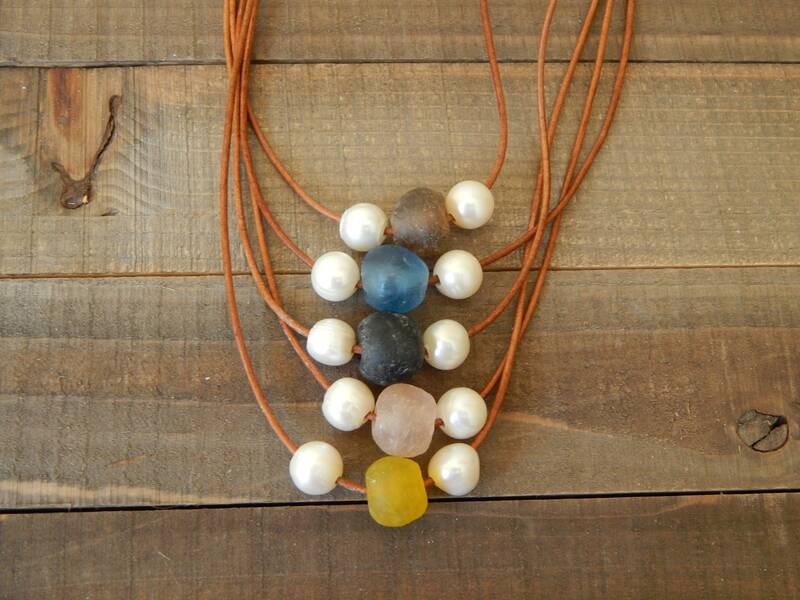 Necklace is available in 6 colors. 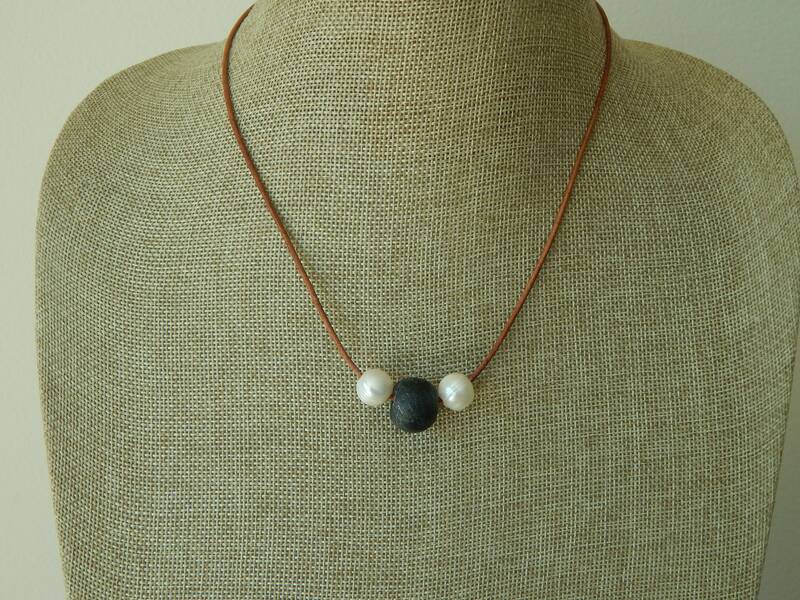 Just make your selection at checkout.